AnnaLee is using Smore newsletters to spread the word online. 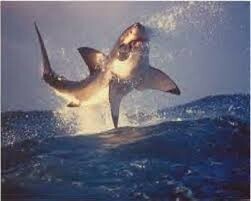 When we humans hear the word shark, people think of this blood eating wild beast. When really sharks aren't that bad. So many people hunt sharks each year. The reasons people hunt sharks is because, they can use there blubber and teeth. People believe that fish of any kind do not suffer when you fish for them. 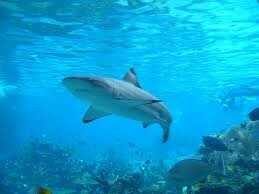 This a beautiful shark under the nice clear water. This the parts of the out side of the sharks body. A shark is at the top of the food chain, even over a whale. When sharks expose ocean waters carbine dioxide it can cause a change in there behavior. That is the only reason sharks attack humans SOMETIMES not always. Porcher, Ila France. "Patience, Persistence Reveal Sharks' True Nature." LiveScience. TechMedia Network, 11 Sept. 2014. Web. 11 Nov. 2014. <http://www.livescience.com/47809-sharks-have-social-personalities.html>.